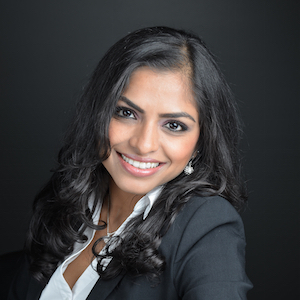 Suchi has over 12 years of experience as a licensed Real Estate Broker. She has helped her clients buy and sell homes throughout the Chicagoland area with a special expertise in the Lincoln Park, South Loop, West Loop, Streeterville, and River North neighborhoods. Suchi majored in finance and started her career in QA analysis and tax preparation. But when she and her parents had a bad experience purchasing their first family home, she turned her attention to real estate. Since then, she has dedicated herself to treating clients the way she wants to be treated while passionately advocating for their best interest. She has received multiple awards including the Five Star Professional Award, Top Producer Award (CAR), and Centurion Award. Suchi’s passion is spending time to understand a client’s specific needs and priorities and making sure those expectations are met. · For sellers, she provides full-service marketing including “Just Listed” postcards, open houses, pocket listing to personal database, professional pictures, professional brochure, social media, and online marketing using Zillow (as a Premier Agent), etc. By spending time up front to ensure the property is optimally priced, prepared for sale, and marketed aggressively, she has excellent results in getting her sellers the best price as quickly as possible. · For buyers, she is a trusted resource throughout the entire process including initial expectations meeting, preapproval support, thorough market search, comparative analysis, negotiation, and post-contract process navigation. She stays on top of all the moving parts in a transaction to protect her clients and make the process as stress-free as possible. Understanding that a constantly evolving knowledge base and skill set is key to representing her clients in a changing market, Suchi strives to complete as many certifications and training courses she can. This includes in certifications in negotiation, buyer representation, short sales and foreclosures and many other areas. She values and constantly invests in technology to improve her clients’ transaction experience. Suchi currently lives in the South Loop and loves to travel, cook and spend time with her adorable nieces."